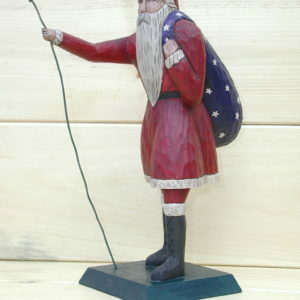 Farmers would use livestock themes to adorn weather vanes on a barn to identify their farming operation. 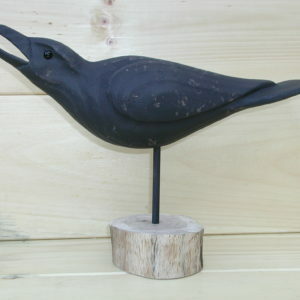 This handsome weathervane would look great on a hutch or a dining room table. 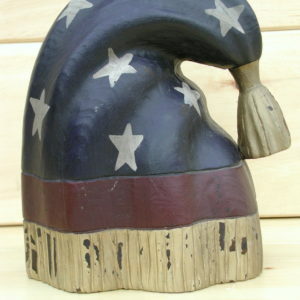 If you know any horse lovers, this would make a great gift. 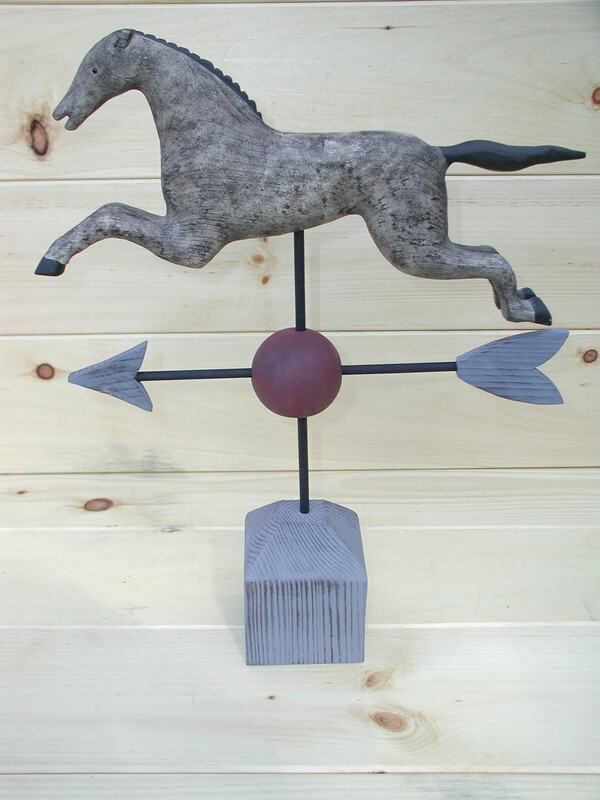 Our Horse Weathervane features glass eyes and a dapple brown paint patina. It measures apprx. 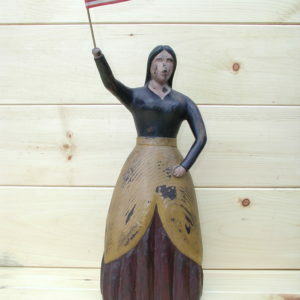 17″ long x 2″ wide x 23″ high on its base.